Prescription drugs are responsible for three of every four overdose deaths in Oklahoma. The figures show the number of 2012 overdoses in which each listed drug was present. Because some overdoses involve a combination of drugs, the totals overlap somewhat. All of the listed drugs were dispensed as prescription pharmaceuticals except methamphetamine and cocaine, most of which is manufactured illegally. 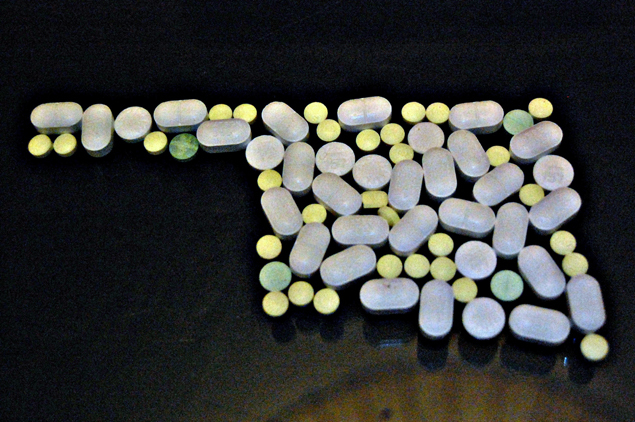 The number of prescriptions filled in Oklahoma for the addictive painkillers hydrocodone and oxycodone have continued to rise in recent years despite concerted efforts to crack down on overprescribing and doctor shopping. These figures include all prescriptions logged into the state’s Prescription Monitoring Program.